Don't forget that it was only this year that NM's record number of poles in one season was beaten by Vettel. That means that Schumacher in all of his championship years couldn't do it. I first saw Mansell in F1 at Brands Hatch in 1986 and he won it. I have driven the circuit (Indy, not the full F1 loop) in a 930 turbo and the double apex off camber at Paddock Hill had me doing the sixpence to dustbin lid routine. Going round in an F1 turbo while beating Senna, Prost etc. takes huge cojones. Yes, he can have a spat with the best of them but unlike his peers, I don't think he ever ran anyone off the road. 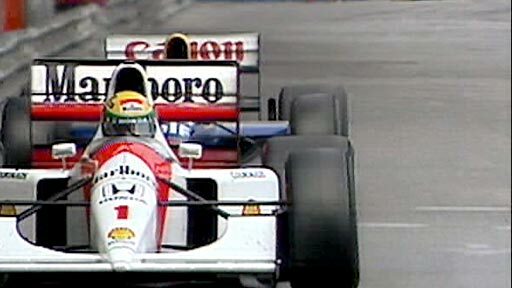 His chase with Senna at Monaco 1992 was a lesson in driving and he was all over the back of the Maclaren like a rash. NM had led for the first 70 laps and lost the lead after a puncture. Senna overtook and held him off for the remainder of the race and after crossing the line, NM had to be lifted from the car as he was physically spent. I have never seen a driver so close to passing out.